In order for your organization to grow and build stronger customer relationships, your marketing team needs to reach the right target audience with the right message. 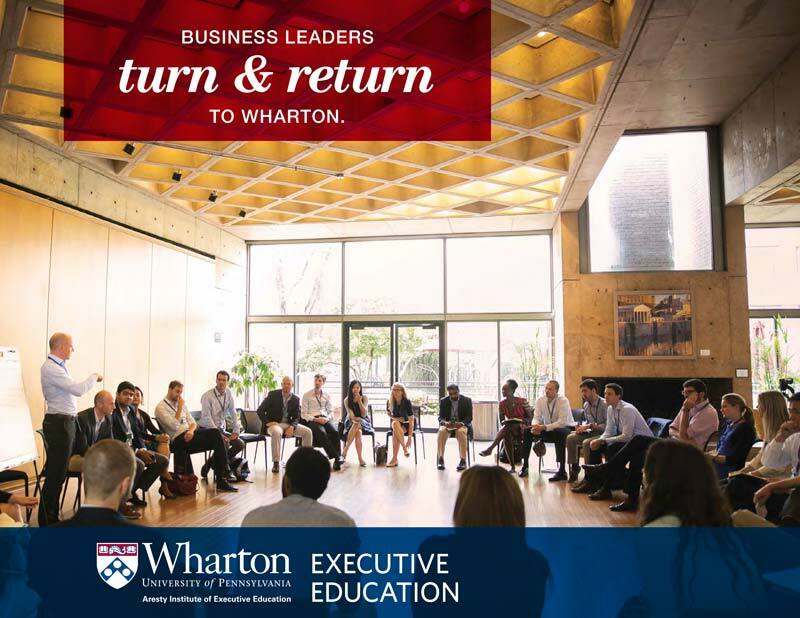 Custom marketing and sales programs at Wharton Executive Education prepare your leaders to compete in this increasingly complex environment with the latest tools, metrics, and social/mobile platforms available. 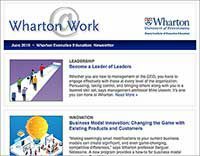 With curriculums steeped in strategic and analytical thinking, Wharton programs translate the intricacies of proper branding and product positioning into powerful yet practical approaches ready for immediate execution. The marketing experts at Wharton comprise the largest, most cited, and most published marketing faculty in the world. They bring extensive industry experience in evidence-based methodologies in addition to the most successful cutting-edge trends. They will partner with your organization and teach your team how to accurately measure buying preferences and anticipate consumer behavior, leading to improved product performance and an immediate increase in your bottom line. The Wharton approach brings a unique advantage to your marketing efforts. Our customizable marketing curriculum can be tailored to your specific business challenges and competitive environment. From customer centricity and psychometrics to global brand positioning — our expert faculty will partner with your learning and development team to create practical training that helps your company achieve an immediate strategic advantage in the playing field. Prof. Patricia Williams worked with The Estée Lauder Companies Inc. to design a marketing symposium for the company’s 100 global and regional marketing leaders across their 30+ brands. 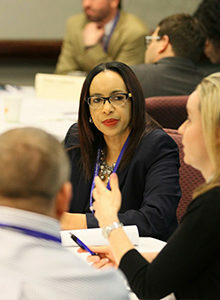 Prof. Williams’ deep involvement with high-level ELC executives has enabled her not just to deliver current content, but to help the company better define its priorities, and create highly customized content and learning experiences to meet those priorities.